Arthritis In Neck – How Can You Prevent Neck Arthritis? Arthritis is a condition that affects the joints of the human body by causing inflammation and ceasing the patient’s flexibility and mobility. It is one of the most common physical diseases affecting millions of people across the globe. There are various types of arthritis depending on which body part is being affected. If it is the joints that are being affected due to normal “wear and tear”, it is called osteoarthritis. If it is inflammation caused due to autoimmune factors, then it is called rheumatoid arthritis. Another type called Psoriatic arthritis is caused due to skin inflammation. There is another type of not so common arthritis called cervical osteoarthritis or commonly known as neck arthritis. Now remember, normal arthritis can also affect neck muscles and joints. Neck arthritis is different from that and possess distinguishable traits of its own. What is Cervical Osteoarthritis or Neck Arthritis? Cervical osteoarthritis can be considered as a sub category of osteoarthritis with similar symptoms and discomfort but mainly around the neck. Osteoarthritis is mainly caused due to the breakdown of the protective cartilage in a joint due to wear and tear process. This hinders that smooth movement between bones and reduces flexibility and mobility. Neck arthritis occurs when this condition is developed in the cervical spine affecting the facet joints. The facet joints play a key role in facilitating flexibility and comprises of smooth cartilages on the upper and lower articulating surfaces. Due to wear and tear, the cartilages starts to breakdown causing friction between bones, in this case the cervical facet joints. This will cause swelling and inflammation resulting in neck arthritis. It usually occurs in middle-aged and elderly people. How Can We Prevent Neck Arthritis? One of the major causes of neck arthritis is leading a sedentary lifestyle. The surge of technology and gadgets has made things worse for this generation. This study claims that prolonged computer use can adversely affect the neck leading to serious issues as one gets aged. Making lifestyle changes and leading an active life with exercises such as swimming, aerobics etc. can help to prevent neck arthritis. Also adopting a plant-based diet, consumption of probiotic foods such as Kimchi, yogurt & cottage cheese, and including dietary fiber such as broccoli, brown rice, sprouts etc. can reduce inflammation and flares to a significant extent. Dehydration can cause stiffness and pain in muscles, joints, nerves, and spinal disks. If someone is already suffering from neck arthritis and not keeping themselves hydrated, it can increase the inflammation and swelling. Our body is made up of water up to 70%. Water is present in the blood, various fluids found in the cells, synovial fluids of the joints and many other tiny body parts. Dehydration reduces the lubrication in the joints and results in poor toxic elimination. This will cause free radicals and harmful pathogens to stay inside the body. Dehydration also causes muscular cramps, affects nerve cell signaling and also the structure of spinal discs. Having 3-4 liters of water everyday can reduce the inflammation and improve joint movements and flexibility. Many studies suggests that using hard cervical collar is one of the conservative yet effective ways to prevent cervical osteoarthritis. It will help to prevent the instability of the cervical spine. 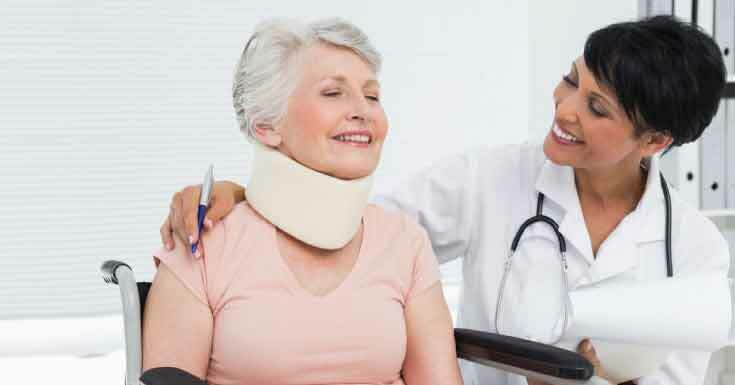 Cervical collar basically restricts the movement of the neck while acting as a support system at the same time. While some experts suggest an aggressive approach of mobilization and exercises as the best way to deal with neck arthritis, most studies conclude that it will not provide any benefit in the long run but will only cause damage. However, cervical collar provides relief to people with severe inflammation and swelling until they get better through medical help. When you are in pain, you would want to keep the area still and inactive as much as you can. But not with arthritis. Scientists and physicians are of the opinion that the stiffness around the inflammation increases when you keep that area still for longer. 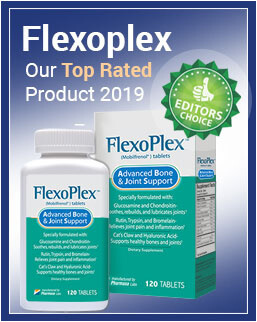 Stretching that flexing joints and muscles in moderation can help to reduce the pain and swelling, according to experts. The exercises should be easy and simple and should not include any weight. Always move gently and smoothly and never do anything that puts a sudden pressure on the neck. Some of the exercises can be found here. This is a natural and effective way to deal with arthritis. 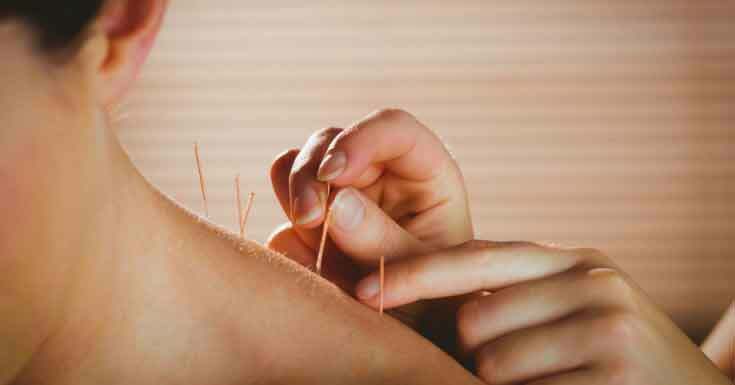 It is said that a single course of acupuncture therapy, which is about 10 days can relieve a person from most of the symptoms of arthritis. 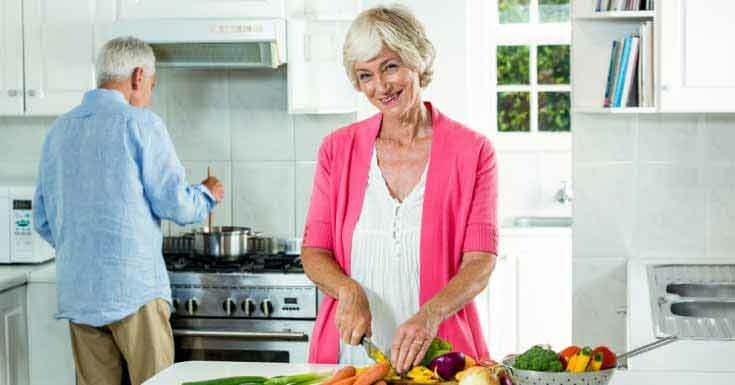 There are many herbs and other foods that can offer relief from neck arthritis. Some of them that has excellent anti-inflammatory properties are ginger, celery seeds, flax seeds, cayenne pepper, alfalfa leaves, olive oil, salmon fish and turmeric. Moreover, adopting an Ayurvedic lifestyle can do wonders to your health and offer significant pain relief. Avoiding foods that cause flatulence, gentle massage with sesame oil, and doing certain breathing exercises can help to decrease pain and swelling. Anything warm or hot when applied on pain areas is proven to reduce inflammation and swelling. Same is applicable to neck arthritis. Infra-red lamp application, hot wax application, or keeping hot bags on the affected area can help to reduce pain and swelling. 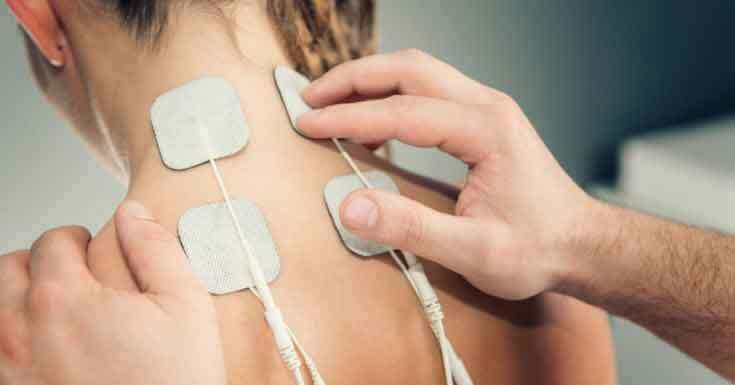 Electrotherapy has also proven to be reducing the struggle for neck arthritis patients. Cervical osteoarthritis can be life changing and considerably restrict one’s neck movement and flexibility. Understanding the causes and preventing it early on is the most effective way to deal with it. By adopting some early lifestyle changes such as eating a balanced diet, keeping hydrated, staying active and maintaining a good posture can prevent it to a great extent. For patients, keeping light neck movements and practicing one or more of the above methods will reduce the pain and all the associated discomforts.